The full-time De La Salle University Professor Antonio P. Contreras slams the Commission on Elections (Comelec) over the LP's submission deadline 'extensions' issue and the complaint against 'Smarmatic' staff who was allowed to leave the country. Commission on Elections en banc grants LP request to extend the deadline for filing of SOCE from June 8 to June 30. The decision was approved because of the the commissioners who votes 4-3, they are Arthur Lim, Al Parreño, Sheriff Abas and Rowena Guanzon. And with the latest issue of allowing Smartmatic’s Panamanian staff Mauricio Herrera to leave the country even when he was the subject of a complaint regarding the 2016 general elections. According to De La Salle Prof. Contreras, "The COMELEC missed a golden opportunity to teach the Filipino people about the supremacy of the rule of law, and to respect and obey rules." Contreras thinks that those commissioners who allowed the extensions and whatsoever issue deserve impeachment. "And for this, they (or those Commissioners who truly had a hand in the travesty) deserve to be impeached," he said. Prof added, "They should thank the people that we are still a government of laws, one on which they can still be rest assured to give them the due process they actually do not deserve." In the series of his Facebook post today, June 20, Contreras also expresses that COMELEC is not a good example to follow because they're not following their own rules. He said, "COMELEC not following its own rules obviously to please LP,"
"SMARTMATIC engineer flees to Panama, And you still think Leni Robredo's election is above board?," he added. 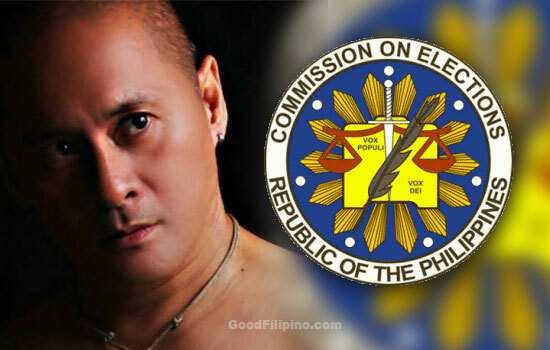 Do you agree with DLSU Professor's statement against COMELEC? Please share your thoughts below. Comments or suggestions about "DLSU prof slams COMELEC for not following own rules" is important to us, you may share it by using the comment box below.